Ms McTaggart has been contacted by a number of Knightswood and Yoker residents that are incredibly concerned about this proposal, stating that it is a lifeline for many local residents. The number 11 service runs from Robroyston to Clydebank Business Park, stopping at a number of locations en route including Charing Cross, Anniesland Cross and Great Western Road. Although the consultation was extended until the 5th March, McTaggart is worried that many residents were unaware of the proposed scrapping of the number 11 bus. 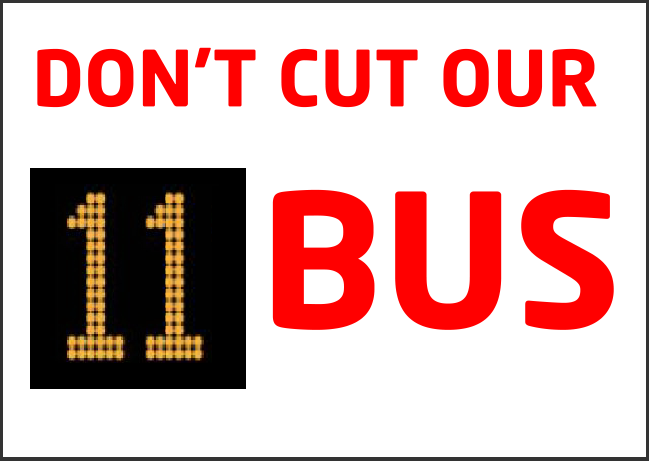 Anne McTaggart MSP said: “I encourage as many residents as possible to contact First Bus to object to their proposal of removing the number 11 service. “I am concerned that the consultation on the proposals was not widely circulated enough. I am informed that the deadline was extended to the 5th March; however I believe the consultation date should be extended further to allow my constituents that are now aware of the proposals from First Bus to respond to it. This entry was posted in Uncategorized and tagged transport. Bookmark the permalink.